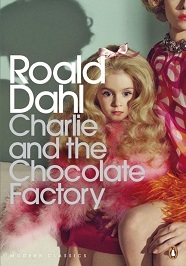 Jessica Sage, who recently finished her PhD in the department, has responded to the recent debate about Penguin’s new cover for Charlie and Chocolate Factory, which received widespread news coverage this week. Drawing on her research into children’s literature and photographs of children taken by Charles Dodgson she wrote a comment piece questioning the assumptions made by the disagreement over whether the cover was appropriate or not, which was picked up by the Feminist and Women’s Studies Association and published on their blog. This entry was posted in Department of English Literature news and events and tagged Department of English, Department of English Literature, Dr Jess Sage, English Department, English Literature, Reading, University of Reading. Bookmark the permalink.